Last week I wrote about the most stylish Masters limited edition items. Now there is a difference between limited edition and one-of-a-kind, and Kikkor Golf has created a truly unique pair of shoes in tribute to the Masters and two great Champions. Only one pair of the Limited Edition Kikkor Masterer was created. 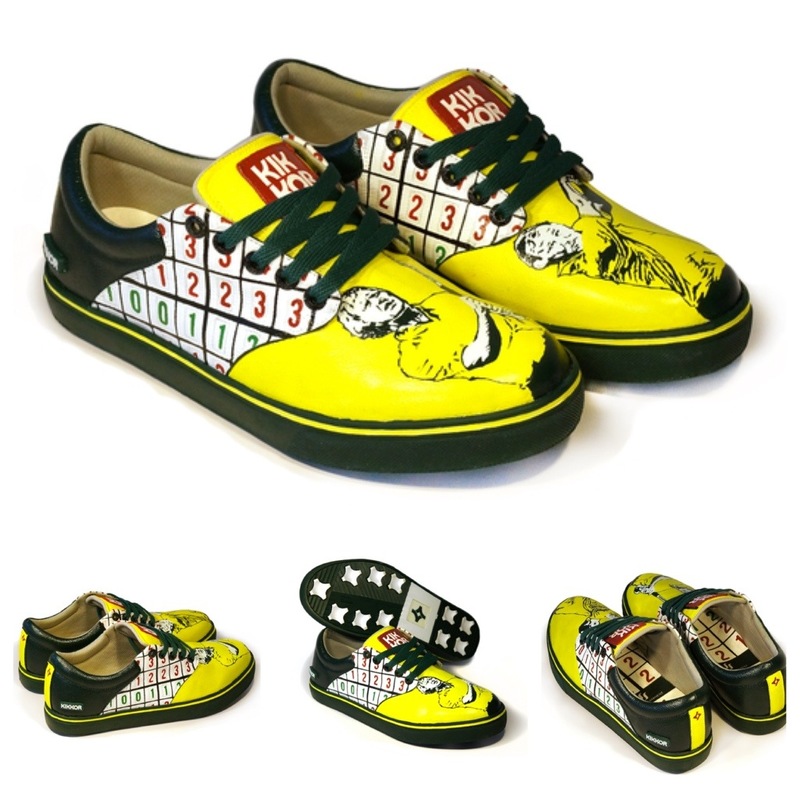 The shoes were hand-painted by Social Statement and feature an image of Jack Nicklaus on the right foot and an image of Arnold Palmer on the left foot. The famous Masters leaderboard, with eye-catching red and green numbers, is incorporated into the design at the mid-foot area and on the insoles. Augusta green laces complete the Masters look. Kikkor is auctioning off this only pair of the Limited Edition Masterer through eBay. Bidding closes at 9pm EDT on Wednesday, April 17th and 100% of the proceeds go to a charity of the buyer’s choice. At the time of this post, the current bid was $510 with a Buy Now Price of $5,000. Click here for more info on the Limited Edition Kikkor Masterer.